Scientists at TU Darmstadt explored on an atomic level how changes in iron content influence the micro-structure of samarium-cobalt based permanent magnets. Their results were published in Nature Communications. In the long run they could contribute to the development of permanent magnets with improved magnetic performance. These magnets can be found in microwave tubes, gyroscopes and satellite controls, for instance. Although samarium cobalt magnets (Sm2Co17 magnets), a type of rare earth permanent magnets, were developed in the early 1960's the underlying domain wall pinning mechanism has remained unknown. 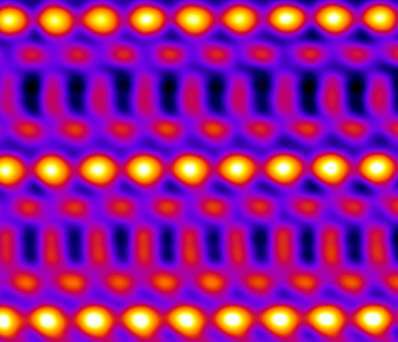 Scientists at TU Darmstadt showed that the iron content controls the formation of a diamond-shaped cellular structure that dominates the density and strength of the domain wall pinning sites and thus the coercivity, in other words the resistance the magnet puts up against demagnetization. By using an atomic-resolution aberration-corrected (scanning) transmission electron microscope in combination with micromagnetic simulations the authors could reveal for the first time the atomic structure of the single phases present and establish a direct correlation to the macroscopic magnetic properties. With further development, this knowledge can be applied to produce samarium cobalt permanent magnets with improved magnetic performance. Pinning-controlled permanent magnets operating at elevated temperatures above 100° Celsius boost device performances of magnet-based industrial applications. These include microwave tubes, gyroscopes and accelerometers, reaction and momentum wheels to control and stabilize satellites, magnetic bearings, sensors and actuators. Sm2 (Co,Fe,Cu,Zr)17 is an important industrially used material system since it has both a high Curie temperature and a high magnetocrystalline anisotropy. Unlike nucleation-controlled Nd-Fe-B-based permanent magnets, the Sm2Co17-type maintains its excellent magnetic properties at elevated temperatures. In order to obtain such high magnetic performances it is necessary to gain precise control of the synthesis parameters during the manufacturing process of a magnet and to thoroughly understand the atomic-scale structure and behaviour of the involved phases. A higher saturation magnetization obtained by increased iron content is essential for yielding larger energy products in these rare-earth Sm2Co17-type pinning controlled permanent magnets. The scientists at TU Darmstadt developed model magnets with an increased iron content based on a unique nanostructure and a chemical modification adding iron, copper and zirconium. Dr. Leopoldo Molina-Luna, who was the corresponding author of the publication, presented the results at the "Nature Conference on Electron Microscopy for Materials – The Next Ten Years" celebrated at Zhejiang University in Hangzhou, China (May 24–May 27). This conference brought together leading experts in the field of electron microscopy for materials science. 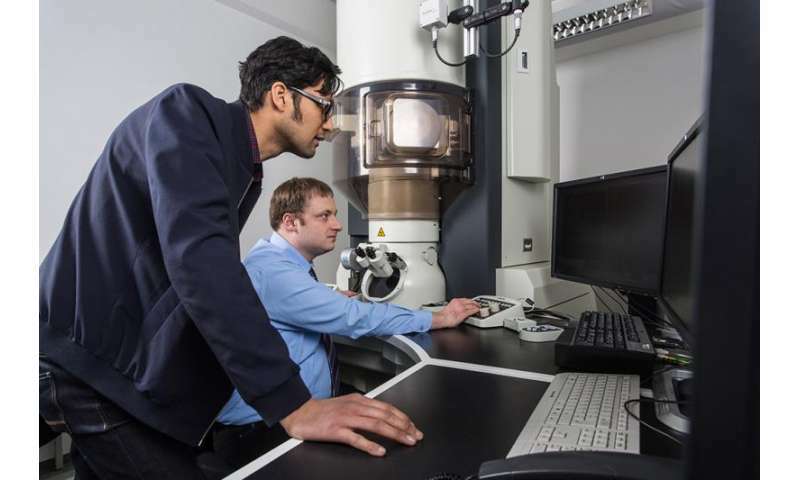 Further investigations planned at the TU Darmstadt on this material system include temperature dependent studies using a recently acquired DENSsolutions microelectromechanical systems (MEMS) chip-based in situ TEM holder. By implementing this state-of-the-art setup in combination with advanced simulation techniques the TU Darmstadt scientists envision to further investigate the mechanisms that lead to improved magnetic performances in samarium-cobalt-based and related permanent magnets systems. This would represent a major breakthrough in the field. Furthermore, site-specific electron energy-loss magnetic chiral dichroism (EMCD) measurements are planned for a quantitative local magnetic structure determination in collaboration with colleagues from the Beijing National Center for Electron Microscopy.